The Pro Alloy team of skilled technicians and engineers have carefully designed this all new radiator with beautifully fabricated lightweight end tanks to ensure flow is optimised across the width of the core, finished off with the usual precision and high quality TIG welding expected on all the Pro Alloy parts. With some clever design touches the new high performance radiator benefits from using a custom built fully brazed all aluminium radiator core which has a massive increase in flow over the standard Ford radiator, whilst still utilising all the original mounting points for the A/C condenser and original Ford cooling fan assembly, ensuring that this up-rated radiator fits snugly into the standard location without any modifications to the car. The Pumaspeed Workshop team are ready to fit the Pro Alloy Focus RS MK3 Radiator in our Head Office located here. Therefore making parts and labour a total cost £775.99 (inc. VAT). 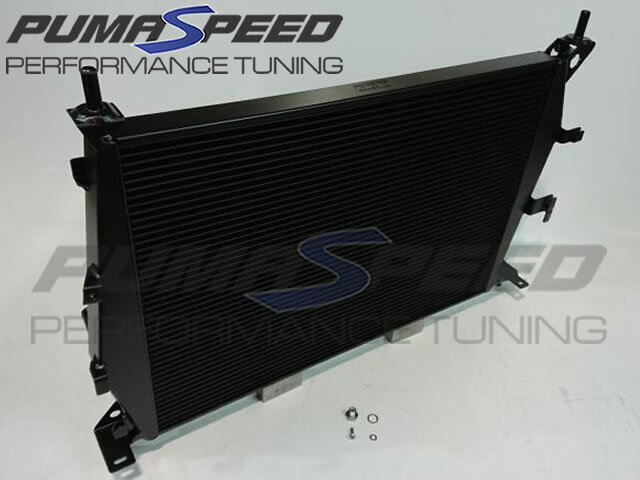 Pumaspeed have a specialist distribution team that can dispatch the Pro Alloy Focus RS MK3 Radiator to any destination worldwide.